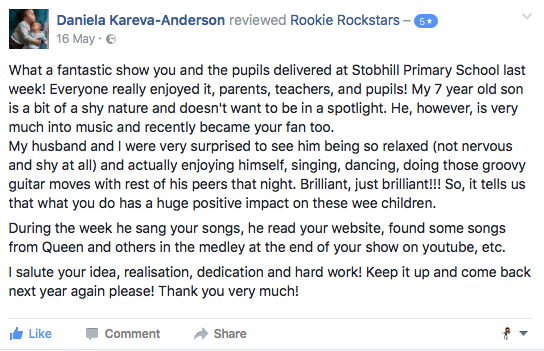 We are so pleased that we get literally hundreds of messages of thanks and encouragement from the parents that come to see our shows. Here a just a few examples taken from our Facebook page. There are well over 100 more 5 star reviews on there! Feel free to have a look if you need to see any more.